SQL finally gets the effective treatment. That's an accomplishment, because despite an official ISO standard for SQL, there's enough variation among common offerings that the authors of Effective SQL felt obliged to test their code (e.g., schemas, queries, etc.) on six different implementations. They also point out syntactic and semantic differences between "official" SQL and the SQL you're probably using. Pulling off that kind of feat calls for lots of experience, both with SQL and with explaining it to others. Authors John Viescas, Doug Steele, and Ben Clothier have it in spades. They're pushing a century of IT experience (! 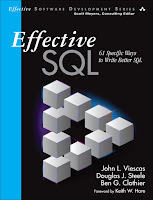 ), and they've published more than a half-dozen books on databases, SQL, or both. It's hard to get better than that. 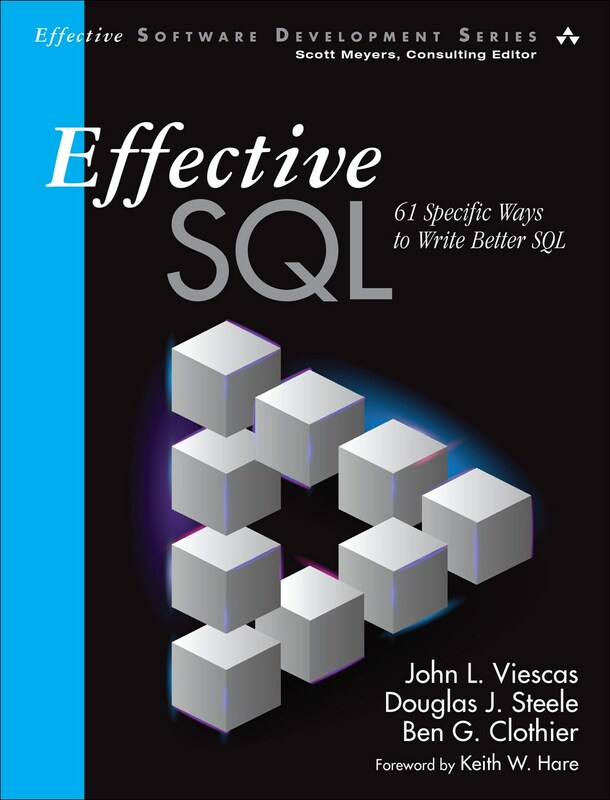 If you work with SQL, you owe it to yourself to take a look at Effective SQL. Effective Modern C++ in Portuguese!